Alt P/N. : 813946-001 SPS-813946-001 DC28000GAF0 DFS470805CL0T DC28000GAD0 DC28000GAR0 .. Note: Laptop manufacturers use a few different Brands of CPU Cooling Fans Inside Cooler 813946-001 SPS-813946-001 DC28000GAF0 DFS470805CL0T DC28000GAD0 DC28000GAR0 for HP 250 255 256 G4 G5 15-AC 15-AC000 15-AC100 15-AC600 15-AF 15-AF000 15-AF100 15-AY 15-AY000 15-AY100 15-AY500 Series. They are interchangeable. Please enlarge the actual pictures, check Product Specifications and compare with the original item in your laptop. 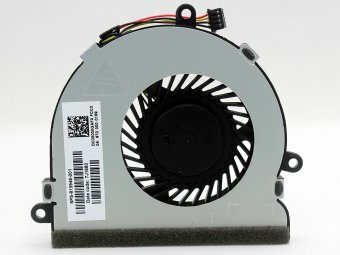 The customer is responsible for ordering the correct laptop cpu cooling fan.